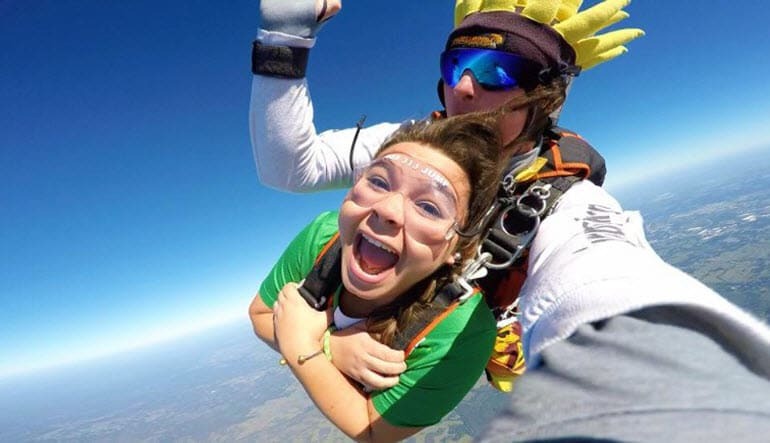 This 11,000ft jump outside of Tampa and Orlando truly is life’s ultimate thrill! 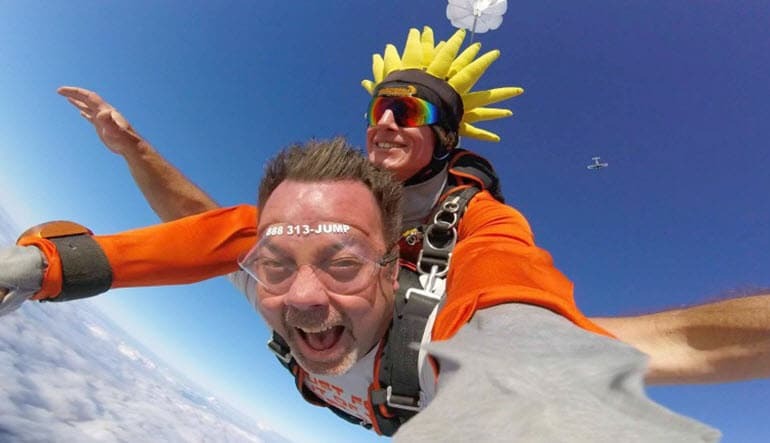 Not everyone has what it takes to jump out of a perfectly good airplane – and that’s what sets skydivers apart. Not everyone has what it takes to jump out of a perfectly good airplane – and that’s what sets skydivers apart. It’s an exclusive club but it’s easy to enter – all you need to do is jump. This 11,000ft jump outside of Tampa and Orlando truly is life’s ultimate thrill! Skydive from 11,000ft and see beautiful coastline views. Reach terminal velocity – 120mph! With an experienced staff focused on safety, this dropzone will start you on your journey with a quick briefing on land. From there, it’s time to gear up and board the sturdy Cessna plane that will take you to spectacular heights. It may be surprising, but as you ascend to your jump point you’ll be taken by a serene sense of calm as you view central Florida from above. But don’t get too comfortable, you did board the plane with the intention of jumping off. As your tandem master signals that it’s your turn to jump, you’ll feel the anticipation build. 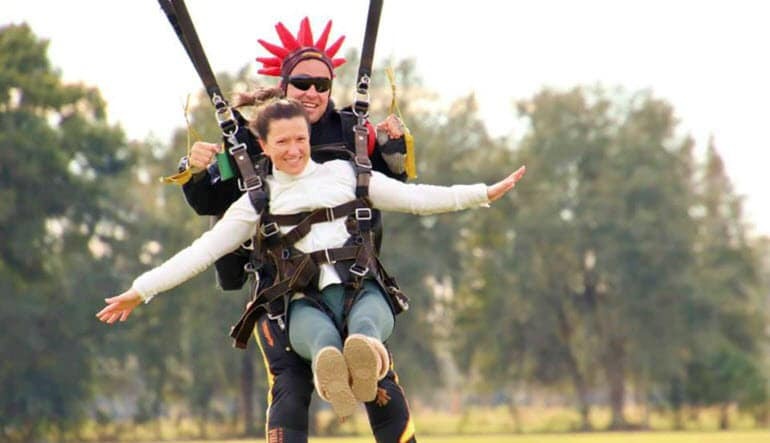 Then it's the pure rush only offered by freefalling 120mph back towards ground – it’s adrenaline-pumping and heart-thumping; everything you imagined and more. When your tandem master signals it’s time to pull the chute, you can enjoy a slow descent back towards your friends and family watching on from the comfy spectator area. Great experience. Bryan was great. Took my son and some friends for his 18th Birthday. Everyone had a blast felt and staff was very helpful, courteous and professional. They were an amazing team of professionals. I felt safe and confident throughout my entire experience. An awesome breath taking experience!